The Urive MD-8000P Shotgun is the first dual-channel dashboard camera that records 1080p in the front and 720p in the rear. Its video quality is all right considering that this camera records two ways, however it doesn’t have the great image quality that single-channel cameras have in this price range. Overall, the video footage is good at daytime, and average quality at night. This dash cam is quite small and discreet, and has a sleek, sort of futuristic design. It comes with all the dash cam must-haves like date and time stamp, loop recording, auto on/off, G-sensor and parking mode. In parking mode, it records at 20 frames per second. Also, an external GPS module can be acquired separately. Dual-channel dash cams are still quite a bit pricier than single-channel cameras, and they don’t yet have the same video quality. Therefore you would get a better deal buying two separate cameras for half the price. However you would have to operate two cameras instead of one, which can be a hassle. To sum it up, this is one of the few dual-channel cams that have decent video quality both ways. 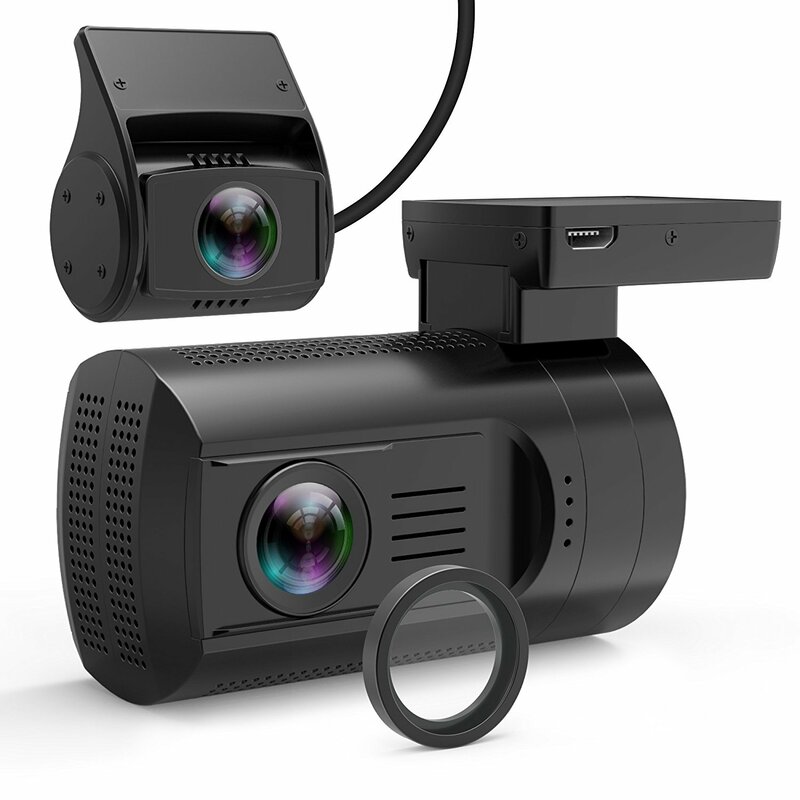 If you are looking for a car DVR that records out your front and rear windows, this is the best option on the market at the time of this writing (Summer 2013). For best quality, remember to set the resolution to the maximum (using the cog icon in the lower right of the screen), and then click on full screen. Front camera video is clear and bright during the day time, no complaints here. All details are well visible. Night video is also good on the front cam. License plates are readable even when just driving by. Rear camera video is okay during the day time, if a bit blurry. Noticeable difference to front cam quality, due to the lower resolution. We are still looking for a high quality night sample video of the Urive Shotgun rear camera. If you come across one, please let us know.